What is Low-E Glass & Does it Make Windows Energy Efficient? When it comes to windows, the type of glass you choose is a critical consideration. Experts estimate that 70 percent of energy loss occurs in windows and doors, and that 90 percent of window heat loss occurs through the glass. Energy efficiency is important, but the lingo can be very confusing when researching different types of energy-efficient glass. 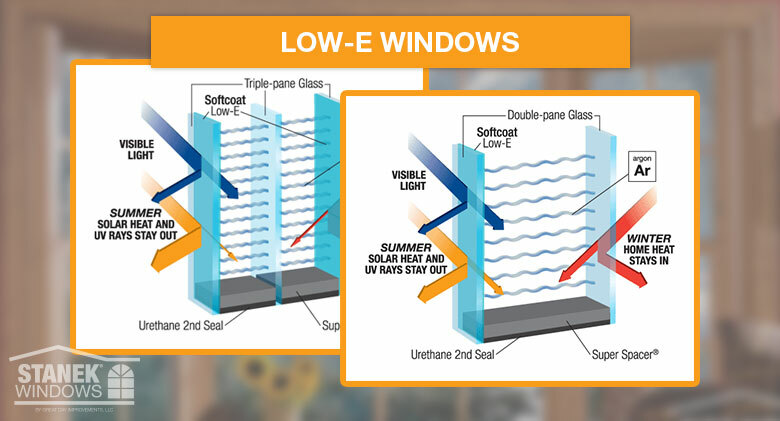 In this post, we’ll explain what a Low-E window is, why it’s energy efficient, the different types of Low-E coatings and which is best for the area you live in. Low-E, or low-emissivity, glass was created to minimize the amount of infrared and ultraviolet light that comes through your glass, without minimizing the amount of light that enters your home. Low-E glass windows have a microscopically thin coating that is transparent and reflects heat. The coating is even thinner than human hair! The Low-E coatings keep the temperature in your home consistent by reflecting the interior temperatures back inside. Solar Heat Gain Coefficient (SHGC): This is the fraction of incident solar radiation that is admitted through the window. This can be either directly transmitted and absorbed or radiated inward. U-Value: This is the rating that is given to a window based on how much heat loss it allows. Visible Light Transmittance (VLT): The measure of how much visible light passes through the glass. Light to Solar Gain: The ratio between the window’s visible light transmittance and its Solar Gain Coefficient rating. Passive Low-E Coatings (Hard-Coat): The passive Low-E coatings are manufactured using the pyrolytic process, which creates a pyrolytic coating. The coating is then applied to the glass ribbon while it is being produced on the float line, which causes the coating to “fuse” to the hot glass surface. This fusion creates a strong bond, or “hard-coat,” that is very durable. Solar Control Low-E Coatings (Soft-Coat): Solar control Low-E coatings are manufactured using the Magnetron Sputtering Vapor Deposition (MSVD) process, which means the coating is applied off-line to pre-cut glass in a vacuum chamber at room temperature. This coating, which is also referred to as “soft-coat,” needs to be sealed in an insulated glass (IG) or laminated unit. The soft-coat has lower emissivity and superior solar control performance. This coating offers the highest performing solar control. 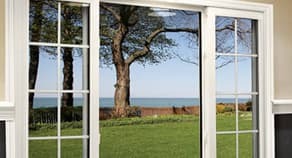 Which Type of Low-E Coating Glass is Best for My Climate? If you live in an extremely cold climate, the hard-coat Low-E glass may be an option for you, because it allows some of the sun’s short-wave infrared energy to pass through the glass. This helps to heat your home in the winter and allows the glass to reflect the interior long-wave heat energy back inside. However, if you live in a cold to hot climate, which covers nearly all of the United States, the soft-coat Low-E glass is best, since it offers better UV protection and has a better overall U-value. The soft-coat Low-E coating also reflects the warm and cool air back into your room instead of allowing it to leak outside. When you’re trying to decide which window style, size and design is best for your home, it’s also very important to consider which type of glass would work best. Low-E coatings play a pivotal role in the performance of your windows, can save you money on energy costs and can drastically reduce fading to furniture and décor by blocking UV rays. 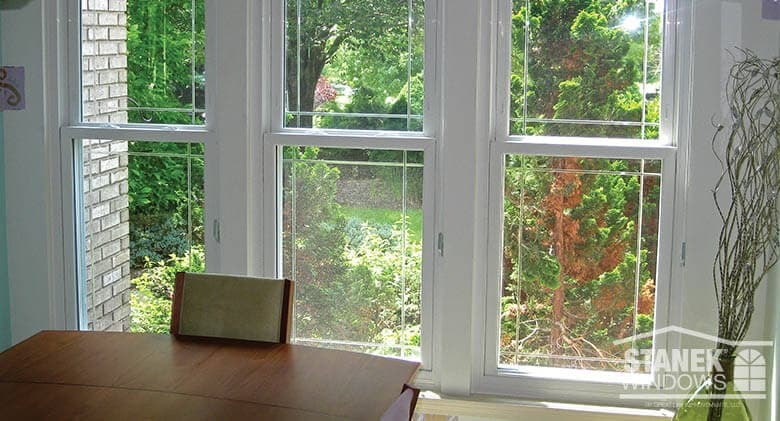 Stanek® windows are made with a variety of high performance, energy-efficient glass options that can meet your energy performance and budgetary needs. 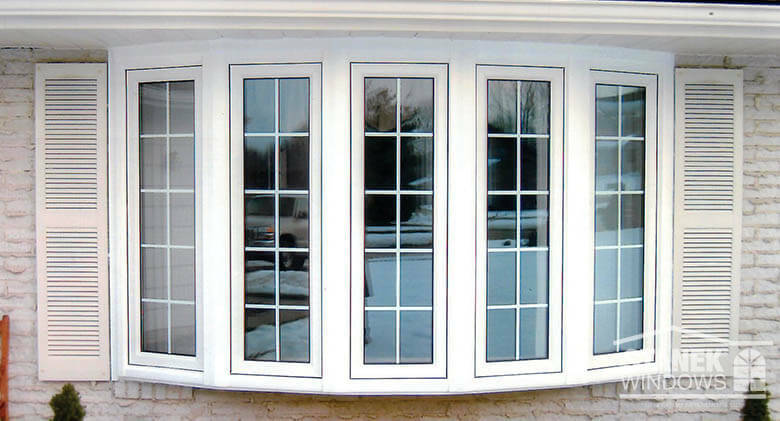 At Stanek Windows, we use only the best glass when manufacturing our windows. Our Comfort Gard® Plus high-performance glass is one of the most advanced glass options available that won’t visibly darken your room. This high-performance glass utilizes a formulated soft-coat Low-E coating and is built with warm-edge Super-Spacer® technology between the insulated glass panes, which prohibits the transfer of heat. If you’re looking for one of the most energy-efficient glasses on the market, choose Stanek’s Comfort-Gard® Xtreme high-performance glass. This triple-pane glass is filled with two layers of argon or krypton gas, as well as two layers of soft-coat Low-E. Maximize your comfort and lower your heating and cooling costs this season with energy-efficient replacement windows from Stanek. 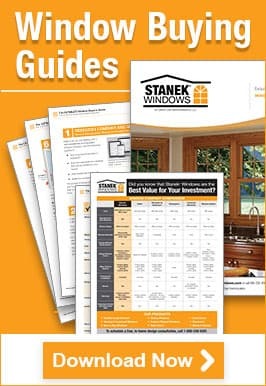 If you’re ready to lower your energy bills with Stanek’s energy-efficient windows, schedule a free, in-home estimate today, or give us a call at 1-800-230-8301.